A twin bomb explosion occured Monday night in cinema theaters of two popular malls in Davao City. The blasts left five moviegoers hurt. 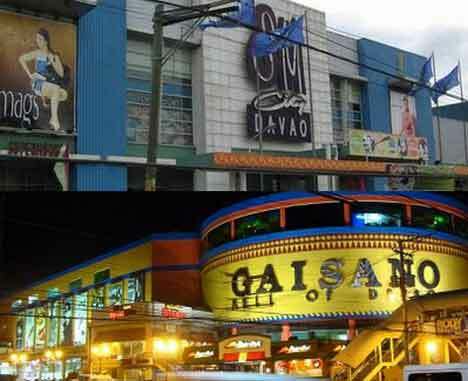 ABS-CBN News reports the separate explosions rocked SM Davao Cinema 1 and Gaisano Mall (G-Mall) Cinema 5. The suspected improvised bombs were reportedly placed under the chairs. No casualties have been reported, but the victims temporarily lost hearing due to the loud explosion. They were rushed to nearby hospitals and were later discharged after treatment. According to a news update on the morning show “Umagang Kay Ganda,” Davao City mayor Rodrigo Duterte was out of the country when the bombing incidents happened. He is set to return Tuesday. Investigators are probing the blasts. Police are reportedly reviewing closed-circuit television (CCTv) videos from SM for the possible identification of perpetrators. The Moro National Liberation Front (MNLF) has reportedly denied involvement in the Davao explosions. Sources say the city has been placed under “heightened alert” after the mall blasts.